The US electric car maker Tesla recently met with Korean battery makers Samsung SDI and LG Chem, in an apparent move to gauge their electric car batteries, stoking speculation that Tesla’s Model 3 manufacturing bottleneck may be caused by an immediate supply shortage from its sole battery supplier Panasonic. 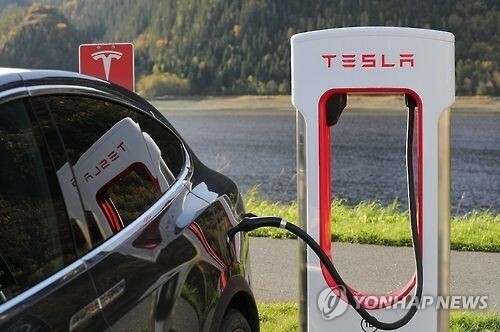 “Tesla officials from the US headquarters visited Korea early this month to separately meet Samsung SDI and LG Chem’s executives,” a source familiar with the matter told The Korea Herald. “They asked for Samsung and LG’s lithium-ion cylindrical cells’ specifications and quality control for electric cars,” the source said, adding Tesla, however, did not make any proposals on this occasion. Since 2008, Tesla has been working with Panasonic as its sole battery supplier over Samsung and LG. Tesla’s recent visit, however, has renewed industry speculation on a possible partnership between the automaker and battery firms, amid Tesla’s growing troubles with its Model 3 electric car production. Tesla also delayed the debut of its new truck Tesla Semi. The US electric car firm initially planned for the production of 1,500 units of the Model 3 during the third quarter of this year, but made only 260 units during the period. Among them, 220 units were delivered to its clients. Although Tesla and Panasonic did not specify the underlying reasons, “Panasonic may have an initial shortage supply issue for the Model 3 as the construction of its Gigafactory is still underway,” said Park Chul-wan, former director of the Center for Advanced Batteries at the Korea Electronics Technology Institute. Tesla and Panasonic are currently building the massive Gigafactory in Nevada with the aim of producing enough lithium-ion batteries to power 500,000 vehicles per year by 2020. 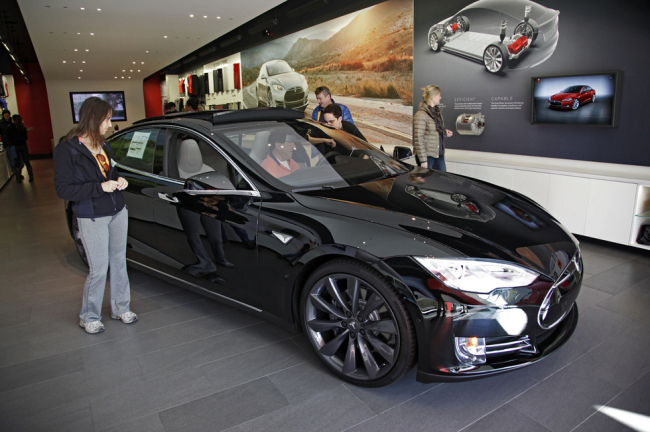 The factory capacity is already too large for Tesla, which has not yet succeeded in mass production. On Thursday, Asahi Shimbun reported Panasonic’s investments in additional capacity at all three production bases could reach 100 billion yen ($881 million) to ride on the accelerating global shift toward electric vehicles. Panasonic’s investments would reportedly be used for Tesla and its other global clients, including Toyota, Audi, Ford and Mazda. Samsung SDI is currently supplying energy storage systems for Tesla. LG Chem supplied a handful of batteries for Tesla’s electric car Roadster in 2015.